Scott High School – ONE SCHOOL, ONE PURPOSE, ONE DAY AT A TIME! Print the 2018 School Shirt Order Form to order apparel supporting the Scott High School Varsity Baseball program. See the linked flyer for more details or who to contact for more information. Deadline for orders is August 31, 2018. Anyone who needs to know their Engrade login information may contact the school for help. Scott High School follows the Boone County Student Code of Conduct. Students: Signing out early from school will result in needing a doctor’s excuse. If a doctor excuse is not provided, your sign outs after 2pm will count the same as a tardy to school. Check your agendas for the consequences after three sign in or sign outs. Scott High School follows the Boone County Dress Code policy, listed on the Dress Code page. Students almost always know when they have crossed the line! Please encourage your kids to dress appropriately for school. Check out the Bell Schedule. There is also a printable version of the Scott High Daily Bell Schedule. All students will be required to pay for any 2nd breakfast. You will not be allowed to charge. Seniors with outstanding breakfast bills will not receive their diplomas until they are paid in full. 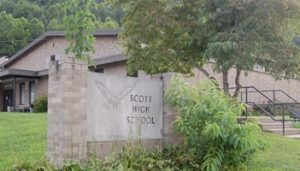 Parents are encouraged to join the Scott High Local School Improvement Council, the Band Boosters, the Athletic Boosters, and to help with Student Council activities. 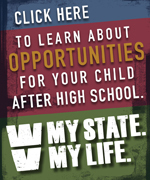 Children still need your involvement, even though they are in high school. Extra help is always welcome! All bus pass requests must include the student’s first and last name, student ID#, homeroom teacher’s name, and a parent/guardian phone number for verification. Bus passes will not be issued without all of this information.